Ptolemy XIII (Greek:Πτολεμαίος Θεός Φιλοπάτωρ, lived 62 BC/61 BC–January 13, 47 BC?, reigned from 51 BC) was one of the last members of the Ptolemaic dynasty of Egypt. 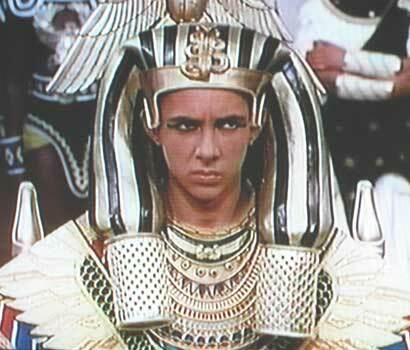 Son of Pharaoh Ptolemy XII of Egypt, he succeeded his father in the spring of 51 BC as co-ruler of Egypt. 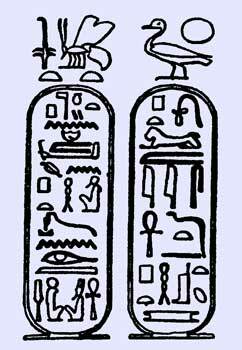 This one done by his marriage and consummation of the marriage to his older sister Cleopatra VII of Egypt. In October of 50 BC, he was promoted to senior ruler along with her, although Pothinus acted as regent for him. In the spring of 48 BC, Ptolemy and Pothinus attempted to depose Cleopatra due to her increasingly becoming the more noticable Queen, while Ptolemy's name was being omitted on official documents, and it being her face on minted coins. He intended for himself to become sole ruler, and for Pothinus to act as the power behind the throne. They managed to force her to flee to Alexandria, but she soon organized her own army and a civil war began in Egypt. Soon their other sister started to claim the throne as Arsinoe IV, further complicating the situation. At this point defeated Roman general Pompey came to Egypt seeking refuge from his pursuing rival Julius Caesar. Initially, Ptolemy and Pothinus pretended to have accepted his request, but on September 29, 48 BC, Pothinus himself murdered the general, in hopes of winning favor with Caesar when the victorious general arrived. When Caesar did arrive he was presented with the head of his deceased rival and former ally, but reportedly, instead of being pleased, reacted with disgust and ordered that Pompey's body be located and given a proper Roman funeral. Cleopatra proved more successful in winning Caesar's favor and became his lover. Caesar arranged the execution of Pothinus and the official return to the throne of Cleopatra, though she had never officially abdicated her marriage to Ptolemy. Still determined to depose Cleopatra, Ptolemy allied himself with Arsinoe IV. Jointly, they organized the factions of the army loyal to them against those loyal to Cleopatra and the relatively small part of his army that had accompanied Caesar to Egypt. The battle between the warring factions occurred in mid-December of 48 BC inside Alexandria itself, which suffered serious damage, including (according to some sources) the burning of some of the buildings which comprised the Library of Alexandria. The arrival of Roman reinforcements from Pergamum gave the victory to Caesar and Cleopatra, forcing Ptolemy and Arsinoe to flee the city. 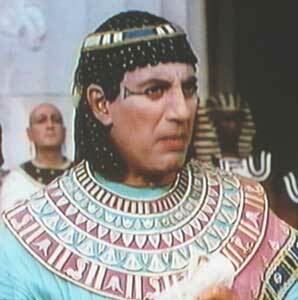 Ptolemy reportedly drowned on January 13, 47 BC while attempting to cross the Nile. Whether he was attempting to flee or was seeking negotiations remains uncertain from sources of the time. Cleopatra remained the unchallenged ruler of Egypt, although she named their younger brother Ptolemy XIV of Egypt her new co-ruler.